Maria first came to Pakachoag in 2011 while in High School to take clarinet lessons. We were very happy that Maria stayed with us through the end of High School…. AND…then, Maria came back! 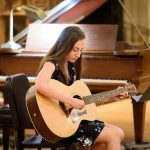 Following graduation from Anna Maria College in Paxton, Maria has returned to take guitar lessons each week with Jeff Dostal. In addition to her music pursuits, Maria is also pursuing additional studies in library science. I continue to take lessons at Pakachoag because I want to nurture my passion for music in the supportive environment that I grew up in. Through my studies at college, I’ve found that taking music lessons at Pakachoag gave me something else to focus on besides all the school work and helps relax me after a long day of studying. What I like most about my Pakachoag teacher, Jeff is his openness to just go with the flow and helping me pick what material I want to study as it aligns with my interests. There was one moment at Pakachoag that stood out to me, last year, when I performed in the guitar recital, I ended up sounding the last chord to the song perfectly and letting it ring out. In that moment, I felt alive with the music, and a momentary sense of peace. Amazing how music can do that! Alive with music, but peaceful and so much more. We’re really happy Maria is back at Pakachoag! May all your music-making and enjoyment continue, for life. For our Hulafrog friends, if you are a first-time enrollee, let us know and we’ll apply a $15 discount off of a Music Together school-year session registration (Spring, Fall, Winter). Or, if you are new to lessons, we’ll subtract $15 from the $40 school year registration fee. Please let us know when submitting your registration that you would like to request the discount. This offer can only be made available if request is made at the time of registration. Guitar Concert at The PopUp! 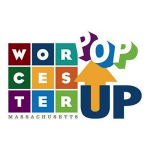 Join Pakachoag Music School for a relaxed evening of guitar music at Worcester’s PopUp! We’ll be featuring students aged 8 to 18 playing a little of everything, electric and acoustic; folk, pop, rock, and perhaps a classical selection too. The program serves as our end-of-year wrap-it-all-up performance with the students of faculty members Jeff Dostal and Josh Goldman. 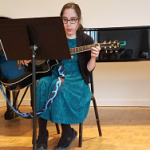 Music Together Spring Session 2019 Open Registration begins March 1st. We’ll be preparing for the Triangle Song Collection. All new song book, with CD, included as part of your tuition. Choose from five locations: Worcester, Auburn, Sterling, Sturbridge and West Boylston. Classes also available at the Hanover Theater Conservatory. Visit our Register Page to register online with credit card. Visit our Music Together section for information on schedules, locations and more. 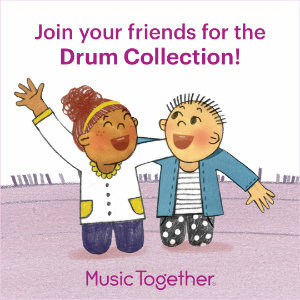 Coming up on March 12, 2019, join Music Together National for a free edWebinar. Healthy social-emotional skills in early childhood can have a profound impact on a child’s overall development and learning. In fact, many early childhood experts see positive social skills as the most important factor for school readiness and later school success. 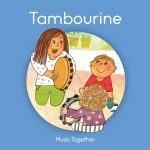 Developmentally appropriate, participatory, group and dyad music and movement activities have special characteristics that not only support young children as they develop socially and emotionally but also support group cohesion in the classroom. In this edWebinar, Dr. Lili M. Levinowitz will introduce participants to the important dimensions of social and emotional development and demonstrate fun and accessible songs and other music activities that support a range of social and emotional skills, including self-regulation, self-confidence, leadership, social competence, and emotional intelligence. You’ll leave this edWebinar with a deeper understanding of the ways in which music can naturally support children’s social and emotional development in the preschool years! This presentation will be of interest to educators working with toddlers, preschoolers, and kindergartners. There will be time for questions after Dr. Levinowitz’s edWebinar. 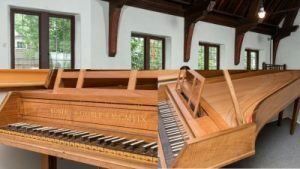 Come hear why the harpsichord is still alive and plucking. Ian Watson, Associate Conductor with the internationally respected Handel & Haydn Society and featured harpsichordist for the 1984 ‘Amadeus’ movie soundtrack, will lead us in learning about the instrument’s history and different types of harpsichords. He’ll coach one or two pre-selected students, and conclude our time together with a spirited demonstration of the instrument. Attendees are invited to stay for the 5 pm concert featuring Mr. Watson, Harpsichord, and Guy Fishman, principal cellist with the Handel and Haydn Society. Handicapped accessibility available but please call us ahead – 508-791-8159 – to review logistics. Learn more about Ian Watson. Information about All Saints Church Music Series. Read about Pakachoag’s Annual Special Events. 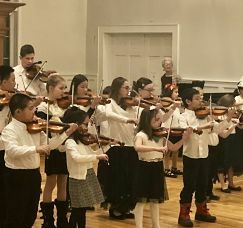 From beginners to high schoolers, this concert is energizing and inspiring as all of our Suzuki violin and cello families come together to share music – as part of an array of small groups. The program will run from 6:30 to about 8:15 pm. We begin with our littlest ones (around age 5 and 6) and proceed all the way up to our high school fiddle band. The program closes out with everyone playing together! 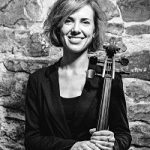 If you are considering violin, viola or cello lessons in the future, this can be a fun way to introduce younger children to what it feels like (and sounds like) to be a string player. If you are not enrolled with Pakachoag and would like to attend, please call ahead or email Sarah@pakmusic.org so we can confirm building entry, parking, and disabled access. We’ll be in the Sanctuary at All Saints Church. Join us for music with friends and colleagues. Our relationships at Pakachoag are tightly anchored around our love for music and teaching. A cluster of faculty are pairing up to present this concert featuring Four Hands Organ, Violins with Harpsichord, Soprano & More. 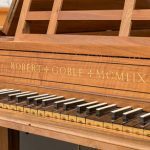 This will be our first official performance that includes the Goble Harpsichord donated in 2014 and recently repaired. The All Saints Church organ, made by Aeolian-Skinner, is also included in this program. Music by Debussy, Holst, Mozart, LaGrenzi and other surprise selections. If you need special disabled access, please call ahead so that we can review logistics. A ramp is available from Irving Street coming into the Sanctuary at front of Church. Register starting December 1st! for classes in six location starting January. The new edition of the Drum family songbook series is debuting this winter! Each song is brought to life through colorful and engaging illustrations by award-winning artist Jaime Kim. The new book will inspire your family to play with music all week long. You’ll find it helpful to learn the lyrics, as a jumping-off point for creative storytelling, and to learn more about the songs you’re singing in class. Your child may enjoy snuggling with you and singing through the whole book at once—or opening to a page to tell you what song they want to sing! Read more about Jaime Kim on her website: https://www.jaimekim.com. Ms. Peck will perform the Bach Cello Suite No. 4 in E flat Major for Unaccompanied Cello and Prokofiev Sonata for Cello in C Major. Join us and you will also be treated to a selection in D. So why exactly did the composer pick that key? We’ll share a little background on the composers and these famous works for Cello.